China is an interesting place to be. Armed police and army troops march obviously. Tourists march on. 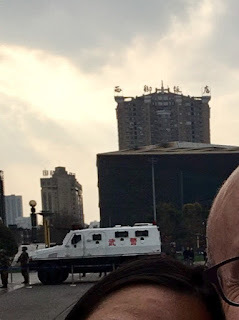 A friend mentions that something with knives happened in Beijing. Not in the news. Tourists march on. We go from a station to a station. The blood goes from a city to a city. We march on.